At Queenstown, I got rid of all the rubbish and decided to eat some Indian food. I walked to a food court in a mall and ate some Naan and Channa masala. 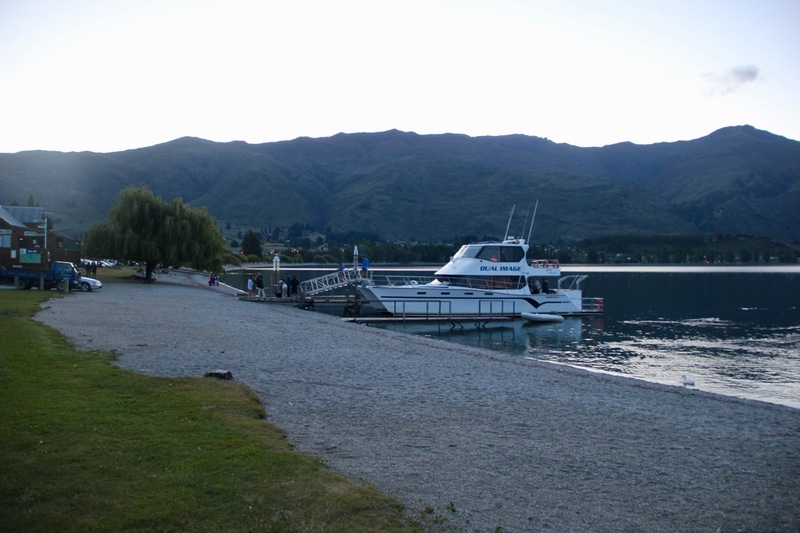 Following which, I headed to the bus station where an alpine connexion bus was taking me to Wanaka. There were two Moroccan looking boys with big suitcases who got off at a cherry farm at Cromwell. Our driver joked saying that in some time, they would start hating the smell of cherries. Cromwell is filled with farms. On the way, I noticed vineyards and other farms; that of cherry, lavender, vegetables, apricot etc. I reached Wanaka at around 7:30 PM. 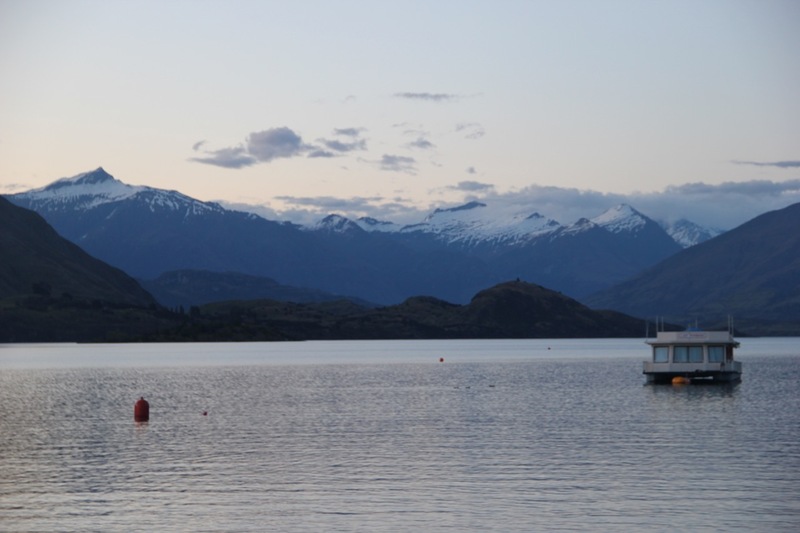 Wanaka lake looked calm and pretty. 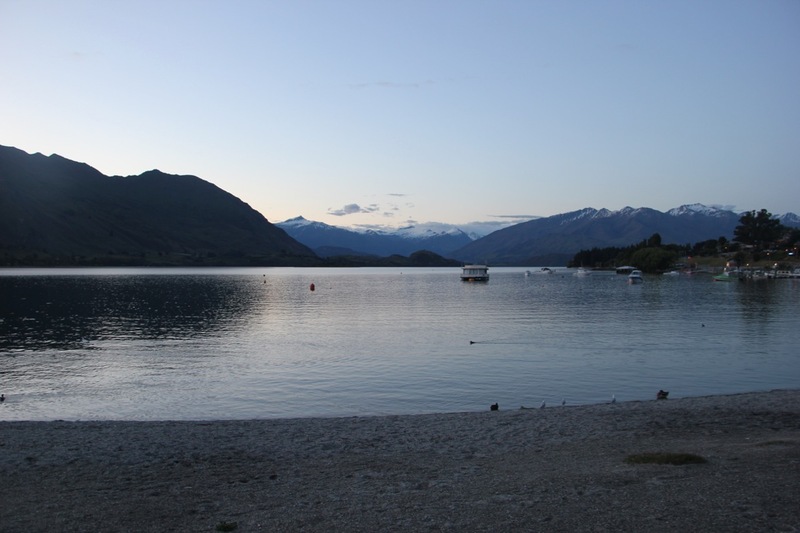 The town was much more relaxed than the crowded and noisy Queenstown and that suited me perfectly. 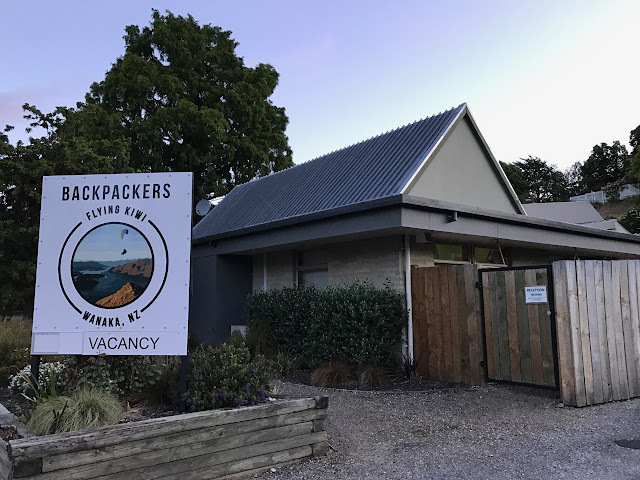 Flying Kiwi backpackers is a hostel that is at about a kilometre walk from town centre. It is located in a residential area. In a small town such as Wanaka, one would not mind a descent walk such as this. The hostel had a certain air of friendliness. There were a bunch of hostilities watching a movie in the living room. In my dorm, I met Alex, a French-Canadian girl who has been traveling in NZ for a long time. I must say that she is one of the friendliest persons I have met on this trip. We had some great conversation about our travels. 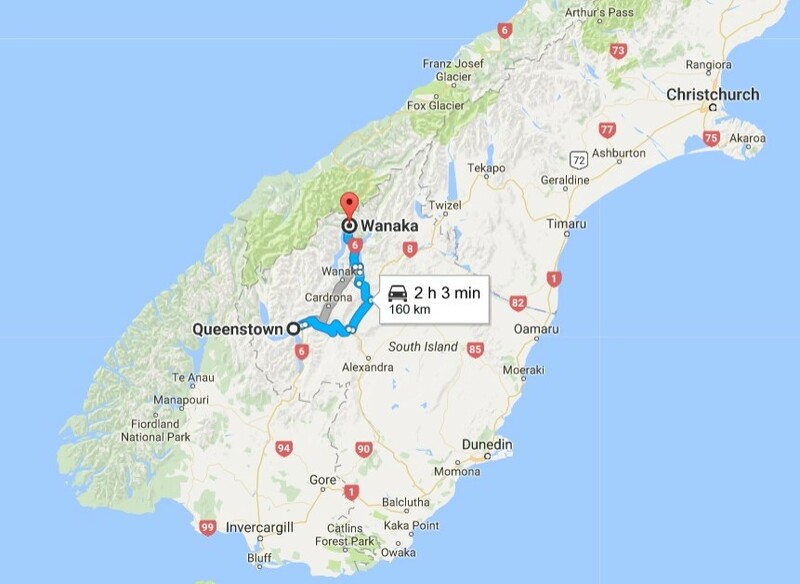 When I mentioned that I had not been to Mt Cook, she was insistent that I go there instead of Fox or Franz glacier. She assured me that if I had to choose between the two then it was definitely going to be Mt Cook village. She showed me a couple of the pictures from her visit and that changed my mind almost immediately. However, by then, I had already booked a bus to Franz glaciers. I decided to cancel that. Only other problem was that there were no vacant hostels. I decided to book a motel despite the expense. I had to go there! We also discussed how a company of book becomes very important while traveling alone. I told her that along with my kindle, I occasionally kept myself engaged through my sketching. By the time I was done chatting with Alex and dropped my dirty clothes for washing, it was already 9:40 PM and I was hungry. So, I decided to go to the town and eat at a Mexican restaurant. Unfortunately they were closing and so I walked to other restaurants by the lake. Surprisingly, all of them seemed to be closing. Finally, at Relish Café, a kind server told me that she would check with the chef if he would take another order. A Swiz couple sitting next to where I stood, joked saying - "By the way, the food was excellent." We laughed about it and began a conversation. When I told the that I had just returned from Routeburn track, they were eager to know more about it as they were contemplating about doing it as well. In the hour or more that followed, we had some great conversation about various topics. They had already finished eating by the time I entered but they stayed back till I finished my Pasta, as our conversation was interesting. Rita, the wife, told me that I was the first Indian backpacker she has ever met. I explained to her that backpacking is not very common in India and that I receive weird expressions from family and friends when I tell them that I was backpacking alone. They also seemed surprised about my proficiency in English. Senisha, the husband, told me that the deers I had seen in the farms are for venison meat. He told me an interesting story of how all of a sudden there was a dearth of venison in Europe and his Butcher explained to him that all the meat was being exported to China. Apparently, the Chinese had discovered the taste of venison and began ordering them in large quantities. Now, he says, venison they get, are from NZ. He also tells me that farmers in NZ are very adaptable to the market conditions and they switch their crops almost immediately based on the trend. I really felt bad for the deers. They shall now be eaten like other animals like chicken, cows and lambs. Senisha also had an interesting topic to discuss about something that he had read in the newspaper, the previous day. According to a survey, The NZ employers were found to be exploiting their employees the most followed closely by the Indian employers in NZ. After giving it some thought, I told them that this could be possible as in India, there exists nothing called "dignity of labour" and jobs such as that of helpers and servers are looked down upon. Even though the Indian owners have migrated to other countries the mentality would not have changed. I also noted that since some of the Indian employees are college students who are working for extra money and their expectations could be slightly higher because they are not the typical working class. Senisha though was surprised to read that the Chinese employees on the other hand, were the most satisfied. We continued our conversation up to Wanaka lake. There were only a few stars up in the sky and we discussed how both of us wanted to see a star filled night sky because that is what we had pictured about NZ. Anyways, despite our wish to continue the conversation, we had to say good bye to each other as it was already 11 PM. I walked back to the hostel. When I had just finished hanging my washed clothes, a loud siren filled the air. I was frightened as the first thing that came to my mind was that this was an alert on a probable earthquake. Ater all, I have been hearing so much about earthquakes in the recent days. 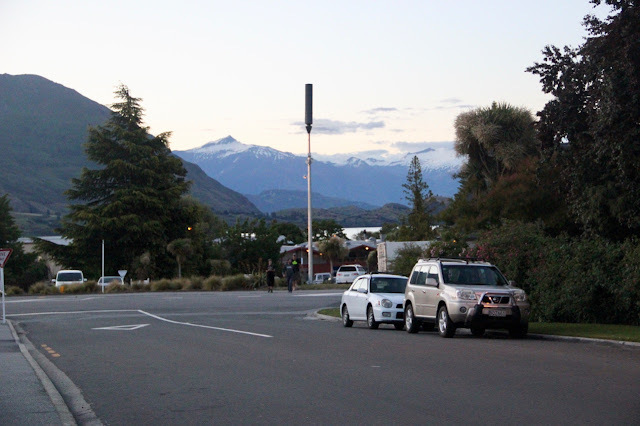 From the ones in 2010 and 2011 in Christchurch to the most recent one, two weeks ago in Kaikoura there were always stories about earthquakes, wherever I went. I ran in and noticed many others had also freaked out and assembled at the living room. Some told that they literally jumped from their bunkers without a second thought when the alarm went off . Everyone feared the same. I googled up the situation and found out that it was just a call for volunteers. Wanaka is a small town and there are not many people employed at the fire service or the police. Hence in case of fire or theft, there is a siren that goes off, as a call for volunteers. That information was a relief and we went back to our dorms. Wow, quite interesting stories.I'm impressed with you. Thanks Sharayu... No I don't have a instagram acct. To many social networking sites make me confused. :-) Will check it out.